A lot of us will be packing up and traveling this week for the holidays. I recently read an article listing the 10 things not to pack when you go on a trip and about halfway down the list was "workout clothes." I get it, there are probably people out there who pack workout gear thinking vacation is the perfect time to start a workout routine, but these aren't our type of people. Approximately half the space in my suitcase is devoted to running gear when I travel. You get me, right? Like many other things however, running and packing to go running tends to be a bit more complicated when traveling for the holidays. Winter weather is likely to require more gear than during other times of the year and running shoes, watches, and sweat wicking clothes compete for space with holiday gifts, winter boots, and big wool sweaters. 1. Double duty. A lot of running clothes are nice enough to wear out to coffee with friends or when visiting family. So wear them for holiday activities one day and the next for your run. You're just going to get sweaty anyway, so does it really matter if you wore for a few hours already? 2. If you're staying with family and can use their laundry machine, take advantage. This way you only need to pack enough gear to wear for a portion of the days you'll be gone since you can wear, wash, and wear again! 3. And to that point, if your host has it, don't take it. If you usually roll out after your run (which you should do), ask your host if they have a foam roller or even a tennis ball or softball, which I find work well as a replacement. You can also spend a few minutes with your legs up the wall after your run to help with recovery too. You'll save major room in your luggage and still keep your legs fresh! 4. Use a bag to corral your hats, mittens, buffs and other gear. 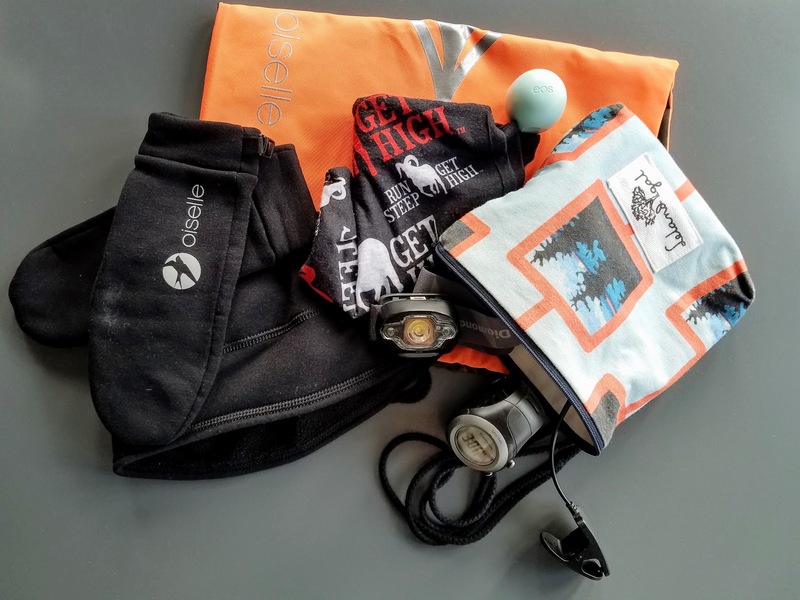 A spike bag or even a plastic shopping bag will do and it'll save you time when you're trying to get out the door and get your miles in before the rest of your family wakes up. Everything will be in one place, easy to find. 5. Don't forget to check the weather forecast before you leave and think about what it really means where you're going. The dry atmosphere and intense sun in Colorado means 30 degrees here feels very different from 30 degrees in Michigan where the sun rarely comes out between December and April. Having the right gear means you'll be more likely to get out there. 6. Be sure to take one day's worth of gear and your shoes in your carry-on just in case your luggage ends up in a different city. Especially important if you're on a run streak like me and don't want the airline to dictate when it ends. 7. And of course, take snacks with you! If you rely on Picky Bars or HoneyStinger waffles before or during a run, don't count on having time to find them when you're away from home. Pack what you're going to need. You'll have a little more room for gifts on your way home since you'll have eaten them because you went running! I hope you enjoy the holidays, eat great food, laugh a lot, travel safely and find some time to run a few miles and reflect on all you have to be thankful for and all the amazing adventures ahead in 2017! What are you most looking forward to over the holidays?